Duke Nukem, the embattled video game franchise that’s been dormant since the 2011 release of the disastrous Duke Nukem Forever, appears to be making a comeback. A quick visit to this landing page reveals a “Happy 20th Anniversary” banner with a countdown clock that expires on the night of September 2 (a little over eight days away as of writing). Scroll to the bottom and you’ll find copyright information pointing to Gearbox Software, the rightful owner of the Duke Nukem franchise as of last summer. As Polygon notes, the exact end time for the countdown is 5 p.m. PDT which just happens to coincide with the time that Gearbox Software’s panel at PAX West 2016 is over. Coincidence? I think not. Duke Nukem 3D was released 20 years ago in 1996 (the original Duke Nukem came in 1991 followed by Duke Nukem II in 1993) which likely suggests we’re looking at some sort of re-release of Duke Nukem 3D. There could be more to it, however, considering several earlier Duke Nukem games disappeared from online distribution platforms like Steam and GOG late last year. 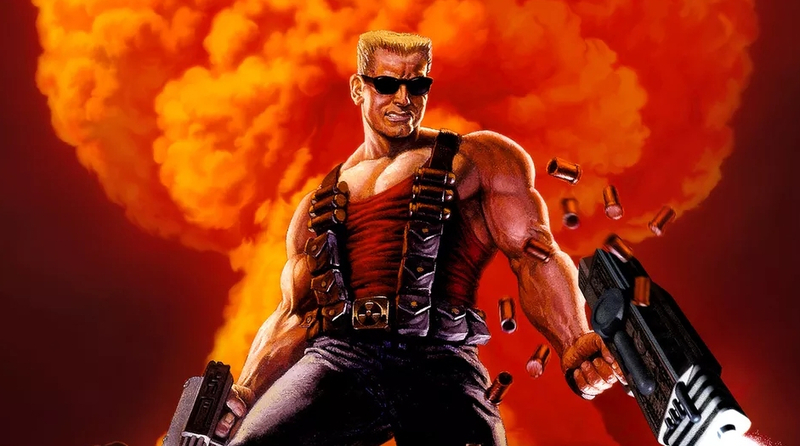 All things considered, we’ll probably see Gearbox announce a re-release of some Duke Nukem games during its PAX West panel next week. Perhaps a bundle is in order? We’ll find out soon enough. toxicfiend, Kibaruk, wastedkill and 2 others like this. Its absurd how badly this franchise has been handled, but you can say that for just about anything 3DRealms came up with. Kibaruk and wastedkill like this. I waited for Duke Nukem Forever for so long that I promised myself that I'd buy whatever they produced and put on shelves. DNF was a complete disaster. I'm fairly certain PC players had a better time. Somehow these *****s ruined the control mechanics on the console versions. All they had to do was build large maps with no-hand holding and plenty of exploration possibilities. I really miss how the original Duke 3D had 3 distinct episodes with 3 distinct feels and art. I've yet to play another game that had a space theme as good as Lunar Apocalypse's. Space Stations, Moon Base...it's all there. The City themes were awesome as well. They could recreate the original Duke Nukem 3D with bigger maps, and new 3D enemy designs and still have a better game than DNF. In my opinion they could only make the game better by cropping out the profanity. The first game trailer I watched told me all I needed to know about the game. After that I couldn't have cared less about the game. If you really think cutting out the profantiy in Duke Nukem 3D is the best thing they can do, then you just don't get it. p51d007 and emmzo like this. At that point you no longer have The Duke, but a weak wanna-be. He's an alpha male caricature and alpha types don't phrase their language to accommodate other people's sensibilities. It would have the same impact as turning Doom Guy into a negotiator who defeats Lucifer by shrewdly navigating multiple dialogue branches, Mass Effect style. I did play DN3D a month ago and it was as awesome as I remember, got my behind handed more than a couple of times, I've gotten overindulged with new shooters. When I hear the name Duke Nukem I think more about the MS-DOS version than I do the 3d version that was released years later. At that point you no longer have The Duke, but a weak wanna-be. That's exactly what he is a Wanna-be in my library. Because he is not the Duke I remember from the 90's. Would love to a return of the game. Back to basics, limit the story (big boss, kill him and his cronies! ), interesting level design, interactive environments, 4 player splitscreen, 16 player dukematch on the levels in the campaign. Just everything we loved about DN 3D/64. Maybe a sneaky Deathtank in there too. How hard is that really?